Tried & True, a resale women’s clothing boutique, opened May 26, 2016, at Willowbrook Mall in Mason City. Tried & True, the third resale store owned and operated by One Vision, sells donated new and gently used women’s apparel and accessories in curated, specially selected quantities. The boutique is designed to offer a unique resale shopping experience to North Iowa women who have a desire to be socially conscious by purchasing and recycling used clothing, but also value convenience. Clothing and accessories will be priced similar to consignment stores with all proceeds directly funding services for more than 550 individuals with disabilities throughout North Iowa supported by One Vision. 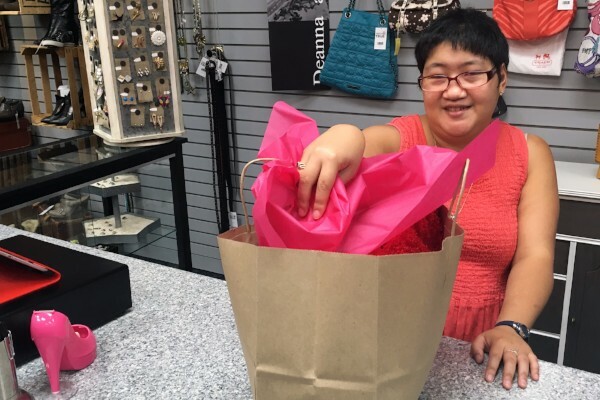 Tried & True also provides community employment opportunities for individuals with disabilities supported by OV.